The apex court was angry that they had not complied with its earlier order to hand over the documents. 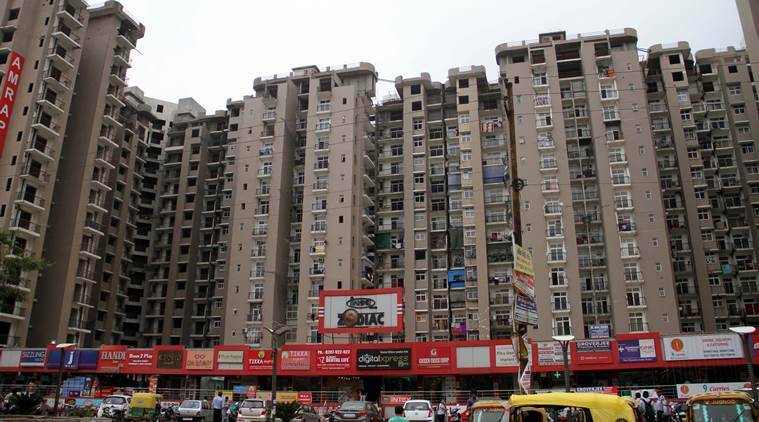 This includes five properties in Noida, two in Greater Noida and one each in Rajgir and Buxar districts of Bihar. The Supreme Court Wednesday ordered sealing of nine properties of the Amrapali Group — which is facing lawsuits by homebuyers — where documents related to the accounts of its 46 companies are admittedly stored. This includes five properties in Noida, two in Greater Noida and one each in Rajgir and Buxar districts of Bihar. A bench of Justice U U Lalit and Justice D Y Chandrachud ordered that these properties be sealed and the keys handed over to the Supreme Court Registrar. On Tuesday, the court had ordered that three directors of the group — Anil Kumar Sharma, Shiv Priya and Ajay Kumar — be kept in police custody till all documents related to the accounts of all 46 companies were seized and handed over to the two auditors appointed by the court to audit the Group’s accounts. The apex court was angry that they had not complied with its earlier order to hand over the documents. Accordingly, the trio who were present in court were taken into custody by Delhi Police, and “lodged in the lock up at Tilak Marg” police station. On Wednesday, they moved the court saying they were “willing to handover all documents in question”, but “the police officers are unaware as to which documents are to be taken into custody and from which place”. The trio expressed fear that as a result of this, they may have to remain in custody indefinitely. They pointed out the nine locations where the documents were lying and requested the court to seal them, as the documents were bulky and it may not be possible to hand them over physically. Ordering the sealing of the premises, the court said it was passing the order “on the premise that the documents required by the Forensic Auditors are kept at the ‘7 plus 2 places’ and not at any other place”, and directed them to file undertakings on the same. “The undertaking shall state that all the documents pertaining to 46 companies from 2007 to 2018 now stand handed over”, it said, adding that it should be filed Thursday. The bench made it clear that only the court-appointed forensic auditors — Ravi Bhatia and Pawan Kumar Aggarwal — or persons authorised by them would enter these premises after they were sealed. The three directors also requested that they should not be kept in lock up till sealing is done. The court said, “If the entire exercise of sealing… is complete today, the presence of the three applicants will not be insisted upon by the police,”adding, “If the exercise is not complete, the present status will continue… except that these applicants… shall be kept in the police station itself”.